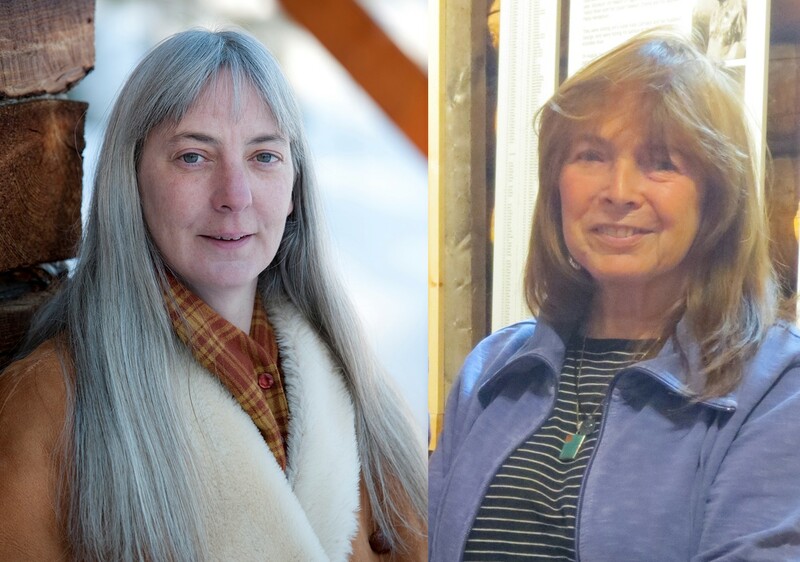 I only met her a few times when I was in Whitehorse, Yukon, last year, but my spending time with her, whether in conversation, or at Bean North Coffee with The Yukon Writers’ Collective, or having a meal with her at the home of writer/travel guide Elizabeth Weigand was all too short. Later, when I had read her novel From Ice to Ashes, and worked with her (and Kathy Munro) on Body of Evidence, a collection described in the following article, I realized that someday I would like to meet her again. Hearing of her passing was a shock that brought me great sadness. 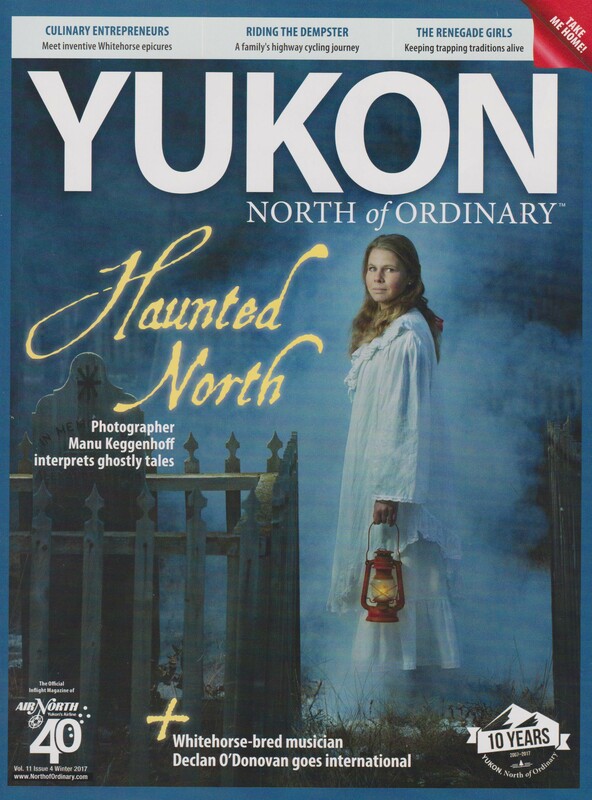 A eulogy/article written by Erin Linn McMullan was published in the winter issue of the superb magazine YUKON: NORTH of ORDINARY. She and Jessica’s husband Mike, as well as Tara McCarthy, editor of YUKON magazine, have given permissions to reprint Jessica’s photo and the article from the magazine. The Yukon mourns the loss of author Jessica Simon, who recently died of unknown causes after returning from a four-day hike with her dog, Curly. “It is hard to understand that somebody so full of life passed away,” writer Elke Reinauer says. Simon was planning a gathering of Yukon writers to attend the 2020 Frankfurt Book Fair and working on the German translation of her novel From Ice to Ashes. “Jessica was all about creating a writing community,” writer Jerome Stueart says, “whether it was the Cramped Hand [writing sessions] so people could come and write together, featuring local writers in parking lot readings, or her columns in What’s Up Yukon.” Simon also exported the Cramped Hand workshops, developing sessions in Germany, Norway, and Namibia. Earlier this year, Simon helped pioneer the literary component of the Atlin Arts & Music Festival and published Body of Evidence: A Collection of Killer ‘Ku with writer kjmunro. She also completed another mystery novel, Adventures of Talking Stick, featuring her fictional protagonist Markus Fanger. She excitedly shared her whiteboard outline of the novel with me during a Skype tour of her new home built with her husband, Mike Simon. Simon called the Yukon home for over 30 years, working as a journalist and editor, and previously as a minister’s executive assistant in the Yukon Legislative Assembly. She won a number of short story contests and contributed to many publications, including What’s Up Yukon, Outdoor Edge, San Francisco Chronicle Magazine, Yukon News, and Yukon, North of Ordinary. “I miss her laugh and her company,” says friend Norma Shorty. I miss her too, though I knew her for so short a time. I was in the process of arranging a reading here in Ottawa for Jessica when I heard of her passing. I would so much have enjoyed seeing her again. Thank you Mike, Erin and Tara, for letting me share Jessica Simon, her smile and her spirit, with an even wider group of writers and readers. 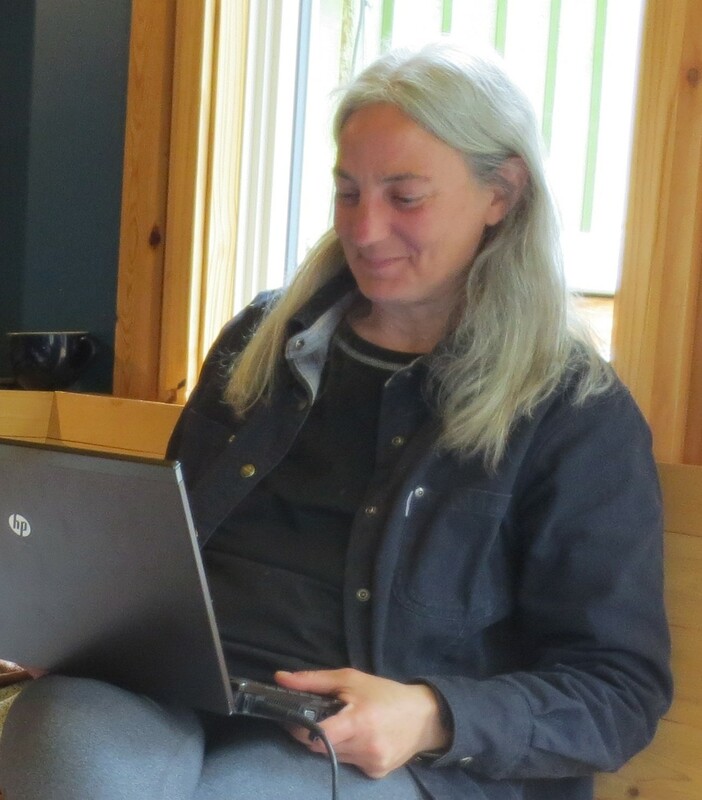 Here is Jessica Simon at Bean North writing on a Wednesday afternoon in May, 2016, as a member of The Yukon Writers’ Collective. Kathy, your support for my visit to Whitehorse has spurred and enhanced so many friendships. Thank you. That is a beautiful tribute Liette. Thank you for writing it. That is beautiful M. Djossou! From the heart of one continent to the tip of another, poet soul to poet soul. Thank you for the comment! Thank you Maurice; She was someone very special. Elle a profité de la vie. Jessica would know what I mean. I will miss her. Anyone who knew her, even for a short time, would miss her. Thank you. These commenst are a great comfort to her partner also.